• Tour the ancient landscapes of Central Australia via the Red Centre Way, which weaves through Alice Springs, Kings Canyon and Uluru. • Isolated swimming holes, impressive gorges and incredible rock formations are all part of this unique and ancient landscape. See it from the air, walk through the red dirt trails and watch the sunset from the back of a camel. Start your seven day trip on a high note, viewing Alice’s picture-perfect ranges at sunrise on an Outback Ballooning hot air balloon flight. Before dusk, a shuttle bus will collect you from your accommodation and transport you to Owen Springs Reserve, 15 kilometres (nine miles) south of town. Sixty peaceful minutes in the air allows ample time to take in the vast, art canvas-style landscapes below. Watch for passing clouds of colourful budgerigars (native Australian parrots) or for kangaroos leaping through the desert spinifex grass below. Afterwards, head to Olive Pink Botanic Gardens, in the centre of town. This scenic reserve was founded more than 60 years ago by Olive Muriel Pink, an early activist for Aboriginal rights. The garden features a range of Australian desert plants and a rustic outdoor eatery, the Bean Tree Café, known for its fresh fare and good coffee. Try the smoked wattleseed (a native Australian ingredient) kangaroo salad with beetroot and labneh cheese. Spend your afternoon admiring desert wildlife at Alice Springs Desert Park. Here you'll see dingoes, princess parrots and near-extinct Central Australian marsupials such as the 30 centimetre (one foot) tall mala, a tiny, shaggy-haired kangaroo. Before heading deeper into the desert, indulge in a hearty breakfast at Alice's best casual eatery, Page 27. It's a delightful, bustling café much loved by the town’s creative crowd. Afterwards, gaze upon bright, bold modern Aboriginal art at Papunya Tula Artists and Mbantua Gallery, both in the car-free Todd Mall precinct, before getting into your hire car (you'll need a 4WD, for a later section of this trip). Venture 80 kilometres (50 miles) out of town to local swimming spot Ellery Creek Big Hole, where you’ll be greeted with an expanse of ochre soil and soft green eucalypts. This natural pool cuts through a gorge in the West MacDonnell Ranges (or the West Macs, as they're locally known). Drive a further 60 kilometres (37 miles) and take the short, scenic walk to Standley Chasm, where you can watch the formation's steep walls blaze red in the afternoon sun. Spend the night at Glen Helen Homestead Lodge, which offers homestead and camping accommodation. Begin your day relaxing at nearby Ormiston Gorge, a tranquil spot known for its ghost gum trees and waterhole carpeted in white sand. 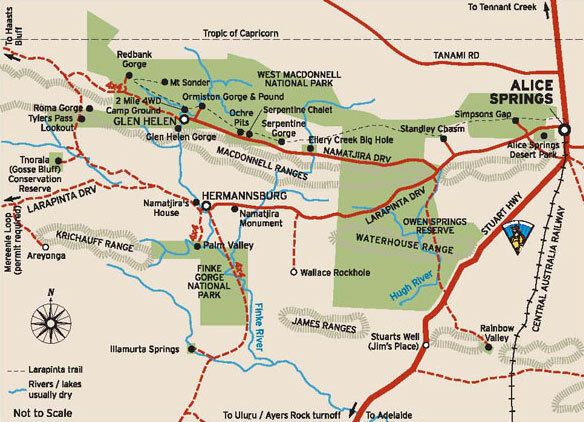 The gorge site has stunning bushwalks – notably the five hour Ormiston Pound Walk. 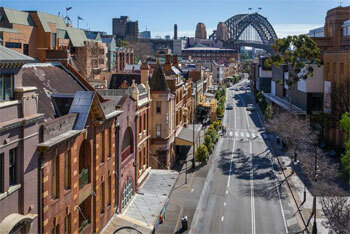 For a shorter option, follow the 20 minute Ghost Gum Lookout trail, which offers views over the gorge. Stock up with lunch or car snacks from the gorge's kiosk and return to your car, which you'll need engage in 4WD mode from here. 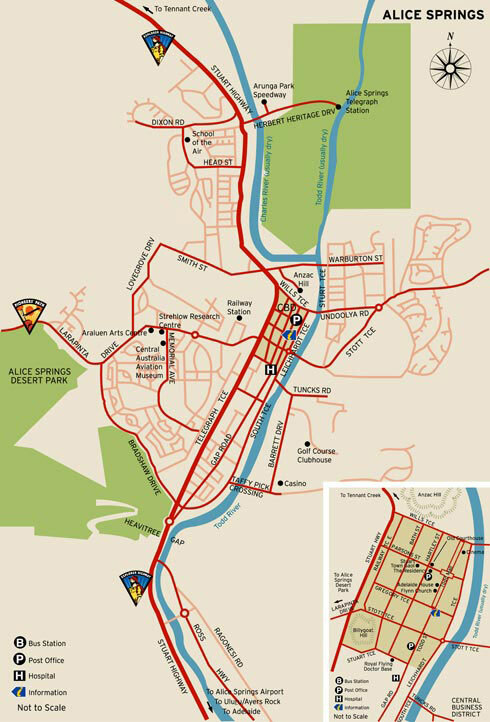 The winding Mereenie Loop, which runs from the West Macs to Kings Canyon, will be the slowest stretch of road you’ll travel. It's only 225 kilometres (140 miles) long but the drive takes about 4 1/2 hours (alternatively, turn your 2WD around and follow the Lasseter Highway to Kings Canyon; note that this will take about 7 1/2 hours). 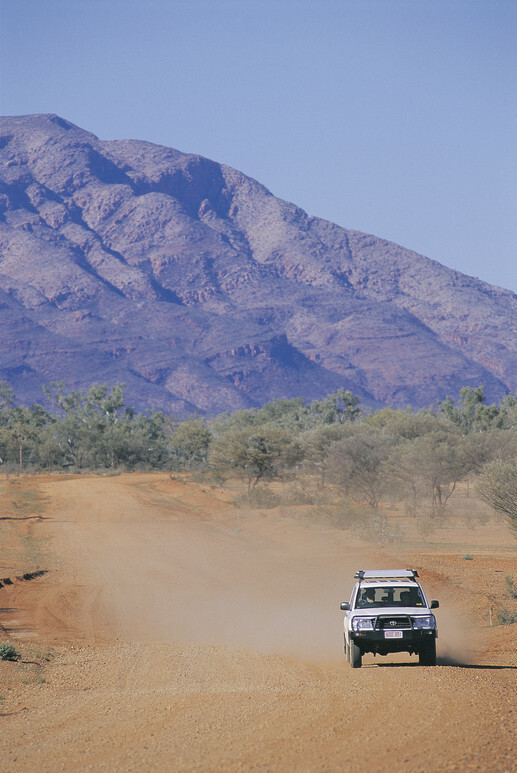 If you take the Mereenie Loop 9$WD hire vehicle only not 2wd motorhoes) , stop to gaze at Tnorala (Gosse Bluff), a 20 kilometre (12 mile) wide comet crater thought to date back 140 million years. This area holds special significance to the Western Arrernte Aboriginal people, who believe the crater formed when women dancing across the Milky Way dropped a baby, who fell to the earth. 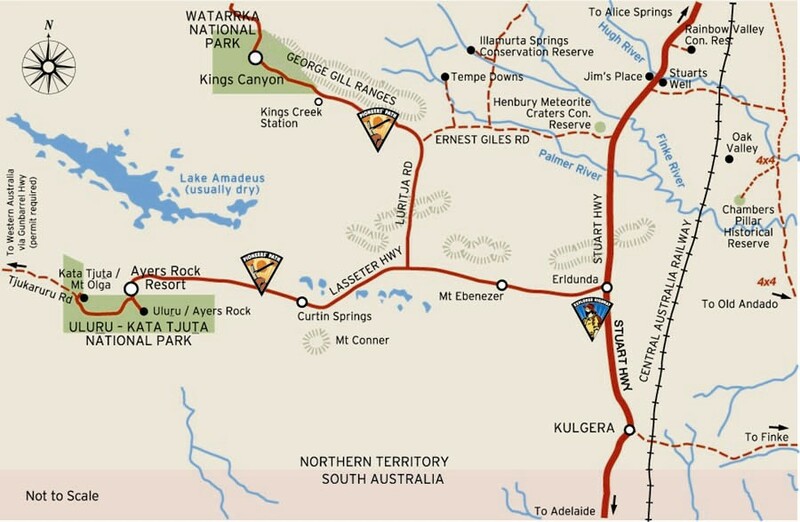 Once you reach Kings Canyon in Watarrka National Park , pitch a tent or bed down in a hotel room at Kings Canyon Resort, the closest accommodation. Rise early to embark on the Kings Canyon Rim Walk, a 6.4 kilometre (four mile) trail with awe-inspiring views of the sheer sandstone cliffs, palm-filled crevices, valley floor and desert. The walk begins with a steep ascent, then follows the canyon's cliff face before descending to the Garden of Eden waterhole and the weathered rock domes of the Lost City. Remember to occasionally glance down as you walk: Kings Canyon was underwater during prehistoric times and marine fossils are visible in the pink-hued rock underfoot. After lunch, explore one of the lesser known Watarrka National Park walks, the 2.4 kilometre (1.5 mile) Kathleen Springs track. Look out for fairy wrens chirping between branches on either side of the sealed path that leads you from the start of the trail to a waterhole framed by tall grass. Return to the Red Centre Way and spend the morning driving 300 kilometres (186 miles) south to Ulu?u-Kata Tju?a National Park . Check in to Ayers Rock Resort, which offers everything from campsites and basic cabins to luxury accommodation at Sails in the Desert and Longitude 131. Devote the afternoon to seeing rock dome formation Kata Tjuta, meaning "many heads". The best walk at the site is the 7.4 kilometre (4.6 mile) Valley of the Winds trail. This loop leads through a spilt of towering rock into a valley bedded with soft green grass. It’s challenging but rewarding; pack plenty of water and fly repellent for the journey. For a shorter stroll, choose the 2.6 kilometre (1.6 mile) Walpa Gorge walk, which is especially stunning in the afternoon when sunlight fills the gorge. In the evening have dinner under the stars at the Sounds of Silence experience, in which you'll sit at a shared, open-air table with uninterrupted views of Uluru. After dinner, a "star talker" will guide you through the astronomical stratosphere twinkling above your table. Watch the rising sun light up Uluru on a dawn camel trek with Uluru Camel Tours. Then contemplate the rock over a breakfast of billy tea and freshly baked beer bread. In the morning, Uluru moves from a muted colour to a glow in a scene that – depending on the temperature – is often crowned in mist. Next, get close to Uluru by strolling the 10.6 kilometre (6.6 mile) base walk around the rock’s circumference. Nothing compares to witnessing this glowing monolith up close. At almost 350 metres (1150 feet) high, the rock is taller than France’s Eiffel Tower. Start on the Mala trail, alongside a lodge guide. The one kilometre (0.6 mile) walk delves into the rock’s Aboriginal creation stories, focusing on a totem animal dear to the hearts of local people: the tiny mala kangaroo (which you first met in the Desert Park at Alice Springs). The guided walk also explores Uluru’s geological features and finishes at Mutitjulu Gorge, a peaceful waterhole. Complete your day at Uluru by watching the sunset from one of the two designated viewing areas. 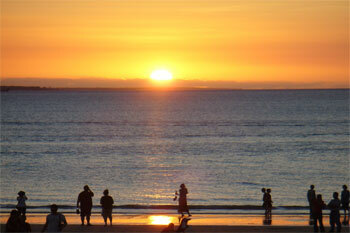 At this time of the afternoon, a different range of colours will intensify and then fade with the falling sun. By now, you'll be feeling well and truly seduced by the incredible atmosphere of this vast desert park. Treat yourself to the best coffee in Yulara at Kulata Academy Café, staffed by Aboriginal hospitality trainees. Next, begin the 445 kilometre (277 mile) journey back to Alice Springs, making your first stop at the Mount Conner lookout, which offers sweeping salt lake views. From a distance, this horseshoe-shaped mountain looks quite like its famous red rock neighbour, hence its nickname "Fooluru". It’s been known to dupe many visitors. Once back on the road, keep an eye out for native emus, the second tallest bird species in the world. Revive at quirky roadhouses lining the highway, such as Erldunda Station, which sits at the halfway mark. When you're just 100 kilometres (60 miles) from Alice Springs, pull in at the Henbury Meteorites Conservation Reserve. Twelve craters formed at this site when a meteor hit the Earth’s surface 4700 years ago. Then, detour off the highway just before you reach Alice to see the scenic sandstone bluffs and cliffs of the Rainbow Valley Conservation Reserve, which forms part of the mountainous James Range. The valley's multi-coloured bands often sparkle in the late afternoon sun – a salute to the end of your voyage.